Yangon (AFP) – Myanmar appeared to have escaped with only minor damage to buildings including pagodas after a magnitude 6.9 earthquake that rattled its remote north, police said Thursday, as early reports said there not had been any casualties. 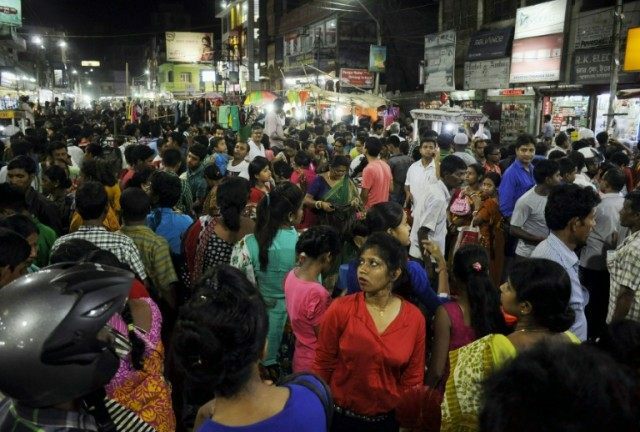 The quake, which struck late Wednesday more than 130 kilometres (80 miles) below the surface, was felt from China to Bangladesh, where scores of people were injured in stampedes as panic spread. But initial surveys suggested the damage was limited in Myanmar, according to an official from Sagaing province, around 100 kilometres from the epicentre. “We have no casualties although there was some small damage to pagodas in villages,” a police official told AFP, requesting anonymity. “People are now enjoying the water festival,” he added, referencing the Buddhist new year celebrated across the region. A second, unnamed policeman in the capital Naypyidaw, said emergency checks on the quake-rattled zone had so far revealed only minor damage to buildings. “It seems like there was not so much damage from the quake,” the officer told AFP. Wednesday’s quake rippled out to Bangladesh, which shares a border with Myanmar. More than 80 people in the country were injured, mostly in stampedes as panicked residents fled their homes and offices, local television reported. In neighbouring India, tremors were felt in several northeastern cities, while Chinese state media said some residents in the Tibetan city of Lhasa ran out into the streets in panic. Earthquakes are relatively common in Myanmar, but the country has not seen a major quake since November 2012, when a powerful 6.8 magnitude tremor struck the centre of the country, killing 26 people and injuring hundreds. Crumbling infrastructure and poor urban planning in Myanmar has made the country’s most populous areas vulnerable to earthquakes and other disasters, experts say.